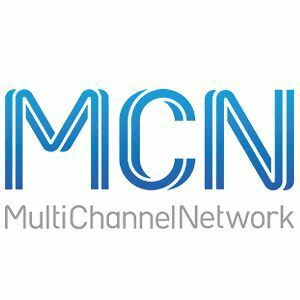 Friday, 28 June, 2013: Multi Channel Network (MCN) is today announcing Subaru and Miele as the sponsors of the highly anticipated Australian version of popular UK program, River Cottage. River Cottage Australia premiered on The LifeStyle Channel last tonight. River Cottage Australia is the first international franchise of the show about local food, produce and sustainable farming. In the eight-part series host Paul West, a Tasmanian chef and food enthusiast, will attempt to set up and run his own farm in Central Tilba on the NSW far South Coast. As the series’ major sponsor, Subaru will provide vehicles for Paul to utilise during the show, TVCs, billboard placements, logo association and credits as well as feature a viewer competition on-air. Subaru’s Forester was also used during an on-ground event with the series’ UK host, Hugh Fearnley-Whittingstall in his only Australian appearance last week. The sponsorship package for Miele, the German appliances supplier, includes billboards, TVCs and logos on promos. MCN’s Strategic Integration Director Elizabeth Minogue said Subaru’s integration into the show was extended across digital, social and in-store assets to create a deeper and united advertising experience. “This is the first time Subaru have embarked on a fully integrated campaign with The LifeStyle Channel, with the leading car manufacturer working directly with the program to ensure the campaign’s activities were created in collaboration with River Cottage Australia, across multiple touch points.” she said. The multi-platform campaign is also investing in content creation as part of their sponsorship to bring consumers a more interactive viewing experience. “Subaru are offering viewers a chance to further engage with the series by providing behind the scenes videos, articles offering expert advice around growing and living off your own produce and the chance to win a River Cottage cook book from Subaru dealers,” said Ms Minogue. River Cottage will air on Thursday evenings at 8.30pm on The LifeStyle Channel.